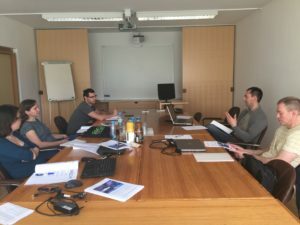 Project partner meeting in Freising: Setting common PFT parameters for modelling forest management and effects of extreme events on forests in Europe. 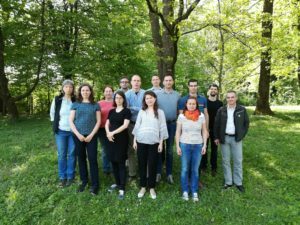 First expert workshop on forest management and extreme weather events. 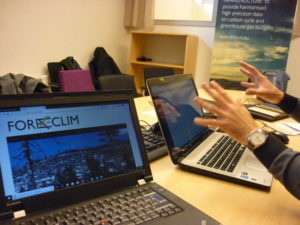 In the first international expert workshop we looked at the views of different stakeholders on extreme weather events. Altogether nine presentations were listened to followed by plenary discussions and a World café on the specific issues identified during the day. See Programme and List of participants. 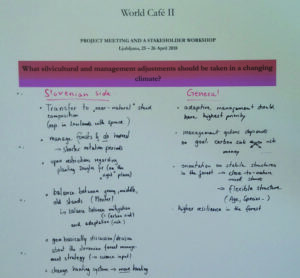 World Café on one of the topics: Which silvicultural and management adjustments should be taken in a changing climate? 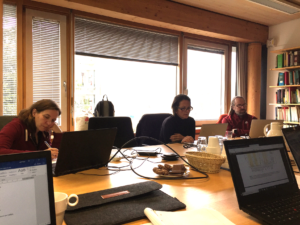 Project partner meeting in Lund: Choosing the management strategies for each participating country. 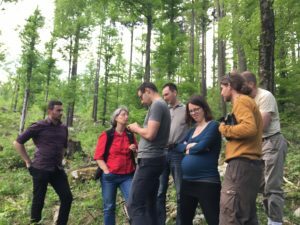 Our new project “Forests and extreme weather events: Solutions for risk resilient management in a changing climate” (FOREXCLIM) was presented at the Sumforest final conference in Barcelona by Prof. Anja Rammig. We had our first internal project meeting with our partners from Lund University, Sweden.